Samantha Sue “Sam” Pinkerton, 42 years of New Vienna, passed away Sunday, November 4, 2018. Sam was born in Lake Jackson, Texas on July 17, 1976, the daughter of Kenneth R. Music and Marilyn Willey. Sam was a graduate of Hillsboro High School and received her LPN degree from Southern State Community College. 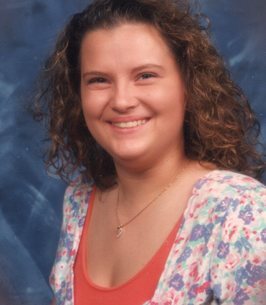 Sam survived by her husband Brian Pinkerton, three sons, Eddie Troxell of Chillicothe, Brian (Kelly) Pinkerton Jr. of New Vienna, Brandon (Corey Weiner) Pinkerton of New Vienna, grandchildren, Bryson Pinkerton, Colton Pinkerton, Paisley Pinkerton, Makenzy Weiner, Jayden Murphy, and (Baby Boy) Pinkerton, mother, Marilyn (Dale “George”) Willey of Hillsboro, father, Kenneth R. (Valerie) Music of Hillsboro, brother, Christopher S. Music of Hillsboro, step-brother, Beebo Willey, step-sisters, Nichole Hughes and Natalie Dunn, father and mother-in-law David and Janet Pinkerton, sister-in-law, Rebecca Souther, paternal grandfather and step-grandmother, Kenneth L. (Ginger) Music, maternal aunts, Jackie (John) Compton of Hillsboro, Brenda (Lowell) Parker of Dayton, Rebecca (Robert) Creamer of Hillsboro, maternal uncle, Virgil Tharp of Chillicothe, niece, Jamie McGraw, nephews, Hayden Allemang, Jacob Music, Landen Music, Mason Music, Troy Wilson and pets, Harley Bug and Fur Baby. Sam was preceded by her maternal grandparents, Oscar and Blanche (Arledge) Tharp, grandparents, Forrest and Mary Pinkerton, grandmother, Imogene Music, grandfather, Amos Hilterbran, brother-in-law, David Max Pinkerton Jr., maternal aunt, Peggy Williamson, maternal uncle Gary Tharp and nephew, Joshua David Allemang. Funeral services will be 2:00 P.M. Thursday, November 8, 2018 at the Thompson Funeral Home in Hillsboro, Ohio. Burial will follow at the New Vienna Cemetery. Friends may visit from 1:00 P.M. to the time of service at the Thompson Funeral Home. Donations can be made to the New Vienna Church of Christ 148 West Street, New Vienna, Ohio 45159. To sign our online guest book, please visit us at www.thompsonfuneralhomes.com. 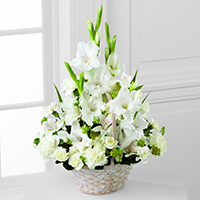 To send flowers to the family of Samantha "Sam" Sue Pinkerton (Music), please visit our Heartfelt Sympathies Store. We encourage you to share any memorable photos or stories about Samantha "Sam". All tributes placed on and purchased through this memorial website will remain on in perpetuity for future generations. Sorry to hear about your loss, thoughts and prayers are with your family. I am so very sorry for your loss! My thoughts and prayers are with you ! Eddie, You're in our thoughts & prayers today. Wishing you peace & comfort always.